I don't read many autobiographies and those I have read have all been people who have been dead for years. So the events that they are talking about are not relevant to my life. Malala is different, a lot of the events she talks about I've seen on the news; 9/11 attacks, the 2005 earthquake in Pakistan, the Taliban take over, President Obama. The difference is that none of these events directly influenced my life here in Canada. I've lived in a very protected bubble and I still do. Malala, her brothers, her friends and the children in that area have lived through more in 2 days then I will see in a lifetime. Her story is written very matter of fact. It's not glossed over, events are told as they happened to her. I like that she is frank. Allot of people try to numb the story. But that is not what we need. We need a good dose of reality. Her pleasure in education is so different from mine and I don't mean to demean hers. She is blessed with an amazing father who did his best to get her the best education. While I had access to education, my family choose to homeschool. Homeschooling was not the best educational choice for my family. As people who aren't keen learners and who once confronted with something they didn't understand they swept it under the floor and use religion as a way of not teaching it. Education is so important and Malala quest to ensure its available to every child is an important one. There is no reason for a child to not have a great vocabulary or the ability to read well. Books now a days are written in the plainest English and people can't understand basic books. Books by Jane Austen which are not hard to read are going to disappear because of our lack of education. 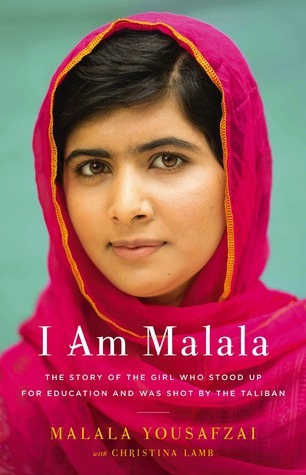 I really enjoyed Malala book and I am thankfully for her story. It makes me realize how lucky I have been in my life. 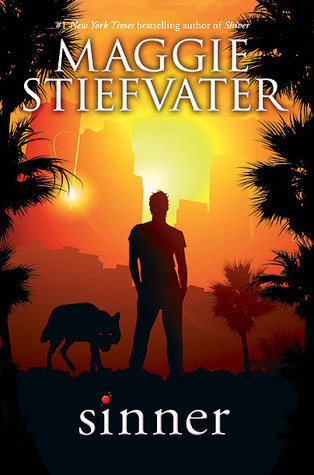 The Wolves of Mercy Falls is a story involving an interesting twist on Werewolves. The last time I read the series was October 2012! When I discovered Sinner at Costco, I was so happy! I seriously don't know how I missed this one coming out. This one follows one of my favorite characters - Cole St Clair. I always wanted to know more about him and now I do. His need for a drug or escape is so natural and fitting, it's almost sad. Isabel's need for control and love is so desperate. I can understand and relate to both. At one point I was both. It is always interesting reading a both you can relate to so well. I like the last fan talked about and his story. I am sad about what happened to Chip. I love the end recording session. I did not like Leyla but you're not suppose to so it's okay. I loved Jeremy and Star's relationship. I am glad for a final touch to some good characters. 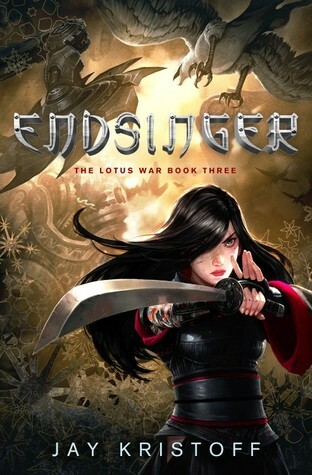 This is book two in The Lotus War series. I thought I hadn't read it when I left it in my TBR unpacked pile. Turns out I had read it. Almost two years ago in October 2013. In my previous review I didn't enjoy this book as much as book one. Mostly because it didn't focus on parts I wanted it too. But rereading it from fresh eyes without the reference of the first book I devoured it and enjoyed every bit of it. Michi-san story is awesome, I am so glad we got to see more of her. I love that she falls in love but doesn't choose love. No one's story is fabulous and sad. The eye patch turn around was something I had forgotten and glad to read even if the torture was a little much for me to read. I hope Yoshi has come with her, though I don't there was any chance of him not. I loved Daken. Yukiko was interesting. I am still annoyed by the twist in that story. But that's okay. 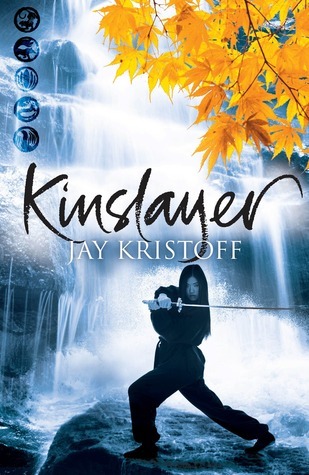 I wish Buruu would go into his story and I would love to know why he is called kinslayer. You would think that with the title of the book being what it is, the story would come out. But alas it has not. It does make me wonder if it comes out in same of the small novella's attached to this series. Part way through I realized I had already read this book and so I looked up and sought out the next book in the series. So happy to discover it was out that I went right out and bought it and devoured it as well!! Who knew this wasn't Young Adult. I am not even sure what got me started on this series or why it has taken me three books to put two and two together and realize this wasn't YA. The question is did I like the end of the series?? The short answer is Yes. The long answer is The expected battle was short. The Oni are disgusting. I want an Arashitora. The theory beyond Khan is interesting. I love love Hana more than Yukiko and Yoshi's story was awesome I figured out where it was going about half ways through, but it was still wonderful. Hiro changed was seen but I would have preferred a crushing. Sometimes it's hard to write these reviews because it feels like I have to write in riddles. With the addition of these books I have two more stamps on my Summer Reading Challenge.